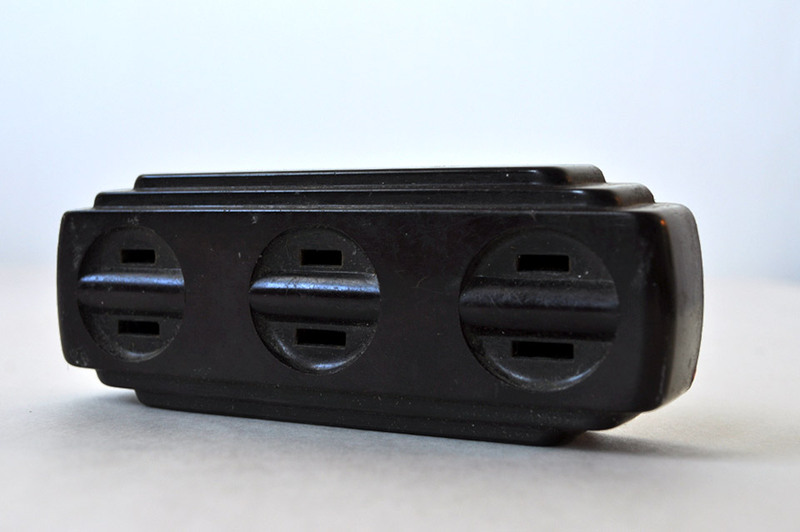 Halebro 3 receptacle plug. Made of bakelite. I love bakelite. The surface, the texture, the sturdiness. This plug looks very art-decoish on the sides. Not sure what era it is from. Status: Found in our junk drawer. Cannot justify throwing away just yet. See if works (safely?) first. Alt title: Untitled Plug No. 202 for Superior Heat Resistance. The usual thanks to Richard and John for inspiring this Alt Title obsession. And to Ben for the “jokes” format. bakelite is always good! 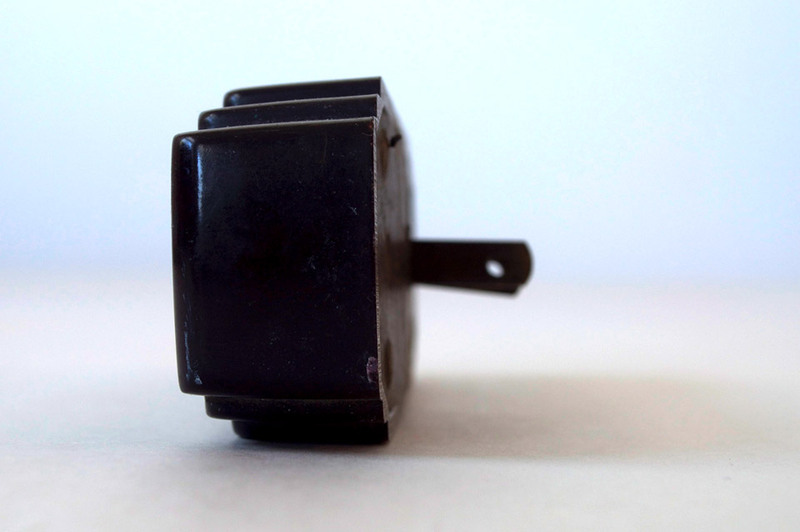 bakelite switches/plugs are still made today but yours does have a 40s look to it. 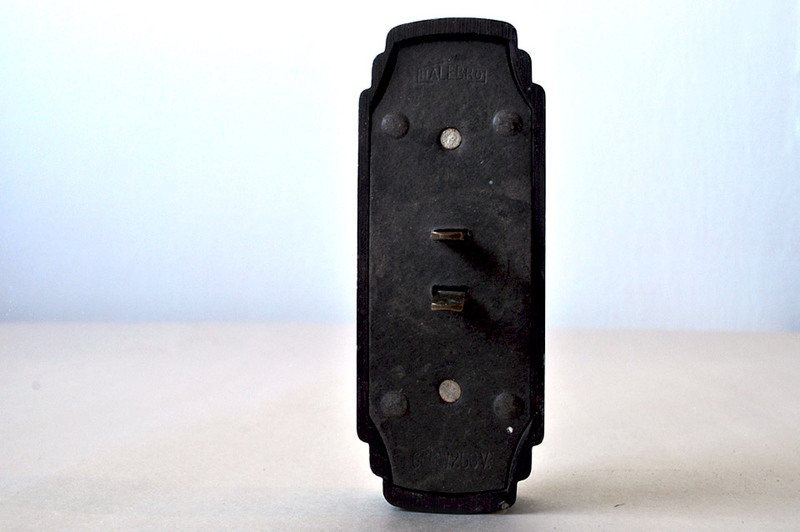 i’ve seen some fantastic art pieces made from old bakelite industrial switches.